What would you do if you spent your entire life thinking that you father was a king, only to find out after his death that he was actually a fearsome dictator? 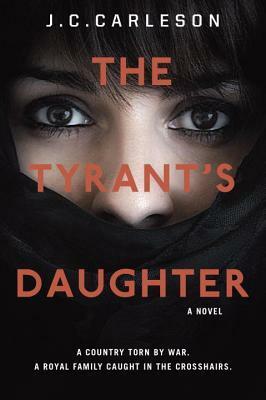 In The Tyrant’s Daughter, fifteen year-old Laila struggles with this realization as well as with learning how to fit into American culture after what’s left of her family is forced to leave their country. Laila faces the daunting world of American high school and dating while also trying to figure out her mother’s web of lies that includes a CIA agent and a rebel group. While she attempts to adjust to the strange new world, Laila also must try to keep her family from being swept up in the political mess surrounding her father’s legacy in this wonderful young adult novel. Talented writer and former officer in the CIA’s clandestine service, J.C. Carleson gives the reader a look into the mind of a young woman trying to survive in a new culture in spite of the complications of her former life. From the beginning, the reader is pulled in by the intriguing notion of a royal family living in a small apartment in an urban American city. Her brother’s young age and her mother’s emerging alcoholism show the reader that Laila must take on responsibility for her family’s well-being even as she attempts to navigate this new way of life. In one scene with her younger brother, Bastien, he illustrates his naivety to their mother’s addiction, and Laila’s protective instinct. Bastien sits in the hallway in front of our door, carefully sorting glass from paper. He learned about recycling in school, and he’s been a fanatic ever since. I don’t have the heart to tell him that I saw the building maintenance crew toss all the bins into one giant Dumpster, mixed together and headed to the same place….I inspect his handiwork. Four clear and three green glass bottles. All alcohol except for a single empty jar of mayonnaise. Wine and gin and whatever else my mother now drinks in place of tea. The introduction of CIA agent Gansler complicates the story further when it is revealed that her family’s safety in America is in his hands and dependent on their cooperation. 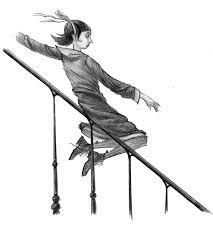 Her mother must help him with an unknown plan involving a rebel group from her home country. Laila is forced into a strange alliance with the youngest member of the group, Abed, who clearly hates her family for being a part of the system that caused his family so much grief. As Laila attempts to juggle all of these issues, she must decide where her loyalties lie and what she must give up in order to make things right. Carleson keeps the reader engaged from start to finish with the seemingly never ending series of complications for poor Laila. Readers quickly become attached to Laila through her first-person narration and budding love for American culture, as portrayed in a scene where she talks about what she loves about her school. I like my locker. It’s a small space of my own–the only one I have. I like my classes, with their lessons so different from those at home. World history is reinvented here–the same stories retold upside down. 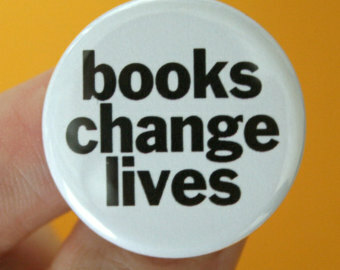 English class, where contractions are allowed and books are not banned, is a pleasure. I even like PE–boys and girls mixed together, their bare legs so casually mingling. Reading scenes where Laila experiences things for the first time—high school dances, kisses, false bomb threats—was like experiencing them for the first time myself. Every time Laila overheard a new piece of information about her family’s plight, I felt my heart race with the urge to know how she would react and what it meant for her family. This story is a wonderful coming-of-age tale that I think anyone would benefit from reading as it illuminates so well the complications of adjusting to a new culture and learning how people and American values work. It’s hard to decide which route you want Laila to take, and by the end you feel as if you’ve made the journey with her. To be published in the Midwest Book Review in May 2014.